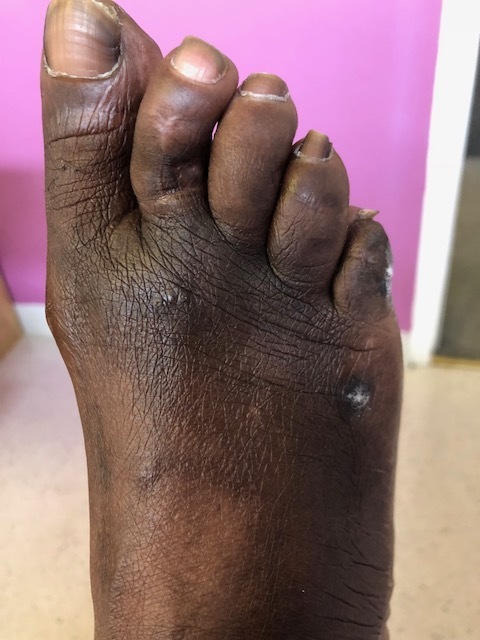 Minimal invasive foot surgery is a technique that enables a specially trained doctor to eliminate most bunions, twisted and contracted hammertoes, corns, calluses, bumps, and spurs through a small skin incision while keeping the patient ambulatory throughout the healing process. 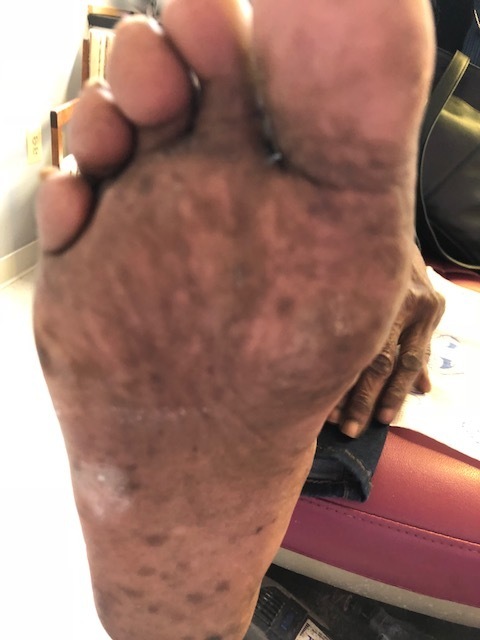 The procedure grew out of a desire to permanently cure foot problems in an office setting without causing extended periods of disability to the patient. The minimal invasive surgery technique utilizes a small instrument not much larger than a pen point. The incision is usually no longer than 1/8-1/4 inch, because the bones to be repositioned or the bony overgrowths (spurs or calcium deposits) to be eliminated can be visualized by use of a fluoroscope. 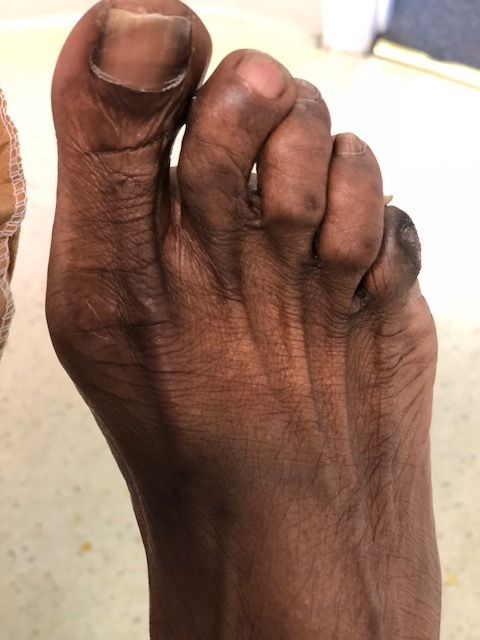 Growths such as bunions, spurs, and maligned bones that produce hammertoes, corns, and calluses can be permanently cured. Just as the knee joint can be visualized with an arthroscope, the bones of the foot can be clearly visualized with the fluoroscope in order to reposition and straighten them. Usually one or two stitches are all that is required to close the tiny incision. The procedure may be performed in the office under local anesthesia with or without IV sedation and postoperative recovery period normally involves no more than one day off your feet, no casts or pins, and often little or no time off work depending on your occupation. Patients having digital surgery to permanently cure bone spurs and corns can often return to their own shoes in 1-3 days. Schedule an appointment with our Foot & Ankle Surgeon for a comprehensive evaluation.